Why you need to know about mental illness, substance abuse, and co-occurring disorders. Most people identify with one major problem, they have a mental illness, they are addicts or alcoholics or they may just have a “communication problem” with their significant other. No matter what you identify as your primary problem there are reasons you need to know about the other possible problems and how they may affect you. Why “normal” people should know about both mental illness and addiction. In the course of any given year, 25% of all Americans (numbers in other countries are about the same for most issues) will experience symptoms of a mental or emotional problem that are severe enough to be diagnosed. Most of those people will first see a medical doctor thinking that their loss of energy or their nerves is a physical, medical problem. Most people who die from a mental illness have been to see a primary care or medical doctor in the 30 days before they die. When there is no medical cause for their suffering found they may fail to go for mental health treatment. In their lifetime, about 50% of all Americans will experience an episode of an emotional or mental illness. Many of these issues can be mild if caught and treated early but untreated they get worse. The old practice of pretending you are O. K. even when you are in pain did and does not work. If you have a mental illness it needs treatment and getting it treated is no more giving in than going for treatment for a heart problem or cancer. Many People will experience at least one episode of substance abuse, some get away with it a few times. Some abuse drugs and alcohol on a regular basis and do not get caught for a while, but eventually, most people have difficulties. Even if you do not do drugs or alcohol there is a high likelihood that someone in your family or social circle will become an alcoholic or addict. For every substance abuse out there we estimate that there 5 to 8 people directly affected by the substance abusers disease. Why the mentally ill need to know about substance abuse issues. Not all mentally ill people abuse substances but the overlap is larger than most people would care to recognize. Those with a mental illness are drawn to using drugs and alcohol to try to cope with their symptoms. Many Bipolar people like the mood swings that accompany alcohol use. If you like the mood swing you are likely to continue using or drinking. When the depressed person drinks it helps them forget their problems for a while. Then the alcohol wears off and the problems return. There is often a rebound effect and the result is that your mental health issues are now worse than when you started. This leads to more and more frequent drinking. Using drugs or alcohol to change the way you feel is a risky way to use them. If you are an emotional user you are at increased risk to develop an addiction. Most psychiatric meds do not work that way, they do not suddenly and miraculously make you feel good and then when the med wears off you feel worse. This is why psychiatric meds which only help you function, not cure your problems, need to be taken as prescribed and every day for a period of time before most of them will begin to help. Why addicts and alcoholics need to know about mental illnesses. A great many people in substance abuse recovery initially feel great, they are clean and this feels good. They the good feeling wear off and they are at high risk for relapse. Many people began using and drinking at such an early age they do not know what it feels like to be without the drugs in their system. We often find that the early symptoms of a mental illness were there before the person first experienced drugs. But the long-term use obscured the emotional part of their problems. Using drugs, the lifestyle, the drug or alcohol experiences, distort your development. People who go for years using and drinking do not undergo the developmental milestones they should have experienced, and as a result, they are unprepared for life without drugs. The drug of choice and that could include alcohol or gambling or any other addictive behavior, has been your best friend and now when you give that friend up you may go through a period of grieving. 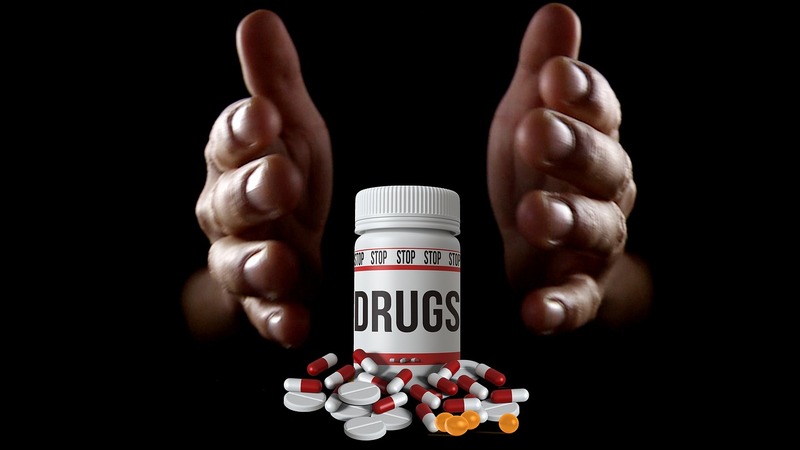 So drug and alcohol use may have hidden the symptoms of a mental illness, the emotional or mental illness may have been caused by the drug use or may occur when you give the drug up and discover that there is a whole lot of wreckage that you now need to clean up. People just do not get through life having only one problem. The chances are high that you or someone close to you will have multiple problems in their lifetime. Having a mental or emotional illness and substance abuse or misuse is one of the more common cases of having multiple problems. This entry was posted in Co-Occurring Disorders and tagged Addiction, Behavioral Health, Counseling, feelings emotions, Mental illness, relationship, self-esteem, Substance dependence by David Joel Miller. Bookmark the permalink.